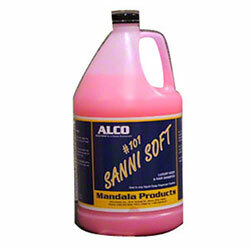 Alco Sanni Soft - Alco-Chem, Inc. Designed to remove light soil from the body, while softening and moisturizing the skin. This pH balanced formula is ideal for the entire body and hair, and can be used in: Restrooms, showers, washrooms, factories, offices, hospitals, restaurants, hotels, clubs and institutions.